Fell in love with this sign and its simple message! Stumbled upon this on Pinterest and couldn’t stop grinning. 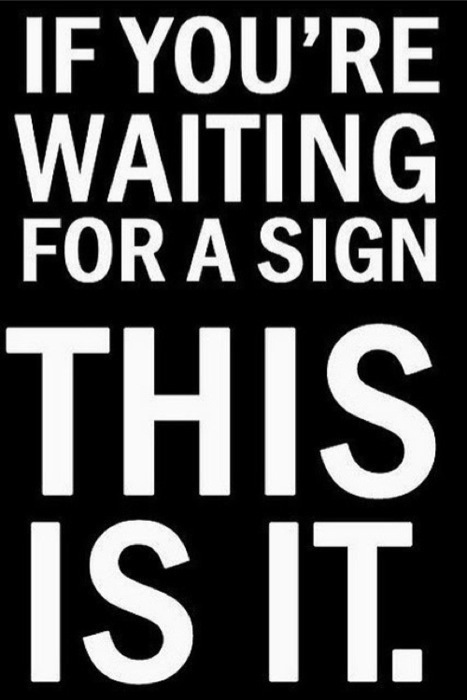 It such a wake up sign to stop waiting for the right moment and circumstances when opportunity maybe banging, screaming and howling for attention at our front door. Loved it and it certainly made me get up and go!